Alien Hotel » Are aliens real? Although this video looks like a bunch of flashing lights, the woman doing the recording claims it is an actual UFO that she filmed. The woman’s name is Morag Ritchie, a woman from the rural town of Fraserburgh Aberdeenshire. Ritchie says a circular object with flashing lights hovered above her home for several hours. She claims it could not have been an airplane as the object did not move, but rather stayed hovering. The unidentified object is unlike anything they had seen before in their area. Ritchie family member did capture footage of the object, however as it was night time, it is very difficult to make out what exactly type of aircraft it is. And indeed, it does appear to be some type of aircraft. Ritchie claims that it did not make any noise. This video has been touted as being a video of a russian alien autopsy from aliens found in 1969 by the Russian KGB. When the video came out it was said to have been “leaked” footage. 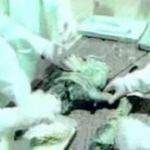 It shows a group of people dressed as doctors dissecting what appears to be a dead and / or decomposing alien that is rather small. Footage is grainy at best. The alien video has not been verified as real by any source. The leaker claims it is linked to the KGB. Real Russian alien or not? You can watch the alien autopsy video below. Scientists say the chances that we are alone in the universe is unlikely. If you take into account all the planets in the universe, there is an almost certainty that aliens exist, and humans are not alone. Some people believe that aliens are actually here on our planet right now. Numerous TV shows and movies have been made toying with the possiblity. But could it be true? Could otherworldly visitors be with us right now? That is the subject of incredibly heated debate – and everyone seems to have an opinion on the topic – even governments. There are tales of conspiracy theories, hoaxes, eye-witness reports – everything you can imagine on the topic, but still the debate rages on. The most important thing you can do to answer the question on if aliens are real and exist, is get as much information as you can. There are always going to be hoaxes and fakes, your goal is to search through those and keep an eye out for any that may be legitimate. The worst thing we can do is close our eyes to the truth, or refuse to believe something when we have evidence. This is your chance. Explore this site, and judge for yourself what is real. Around the net there are so many videos that are put off as hoaxes, it’s hard to tell if they’re real. You can find everything from movie-made aliens that are clearly the work of FX artists, to some alien videos that are not so clearly hoaxes, to a few that witnesses and your own eyes will tell you are 100% real. 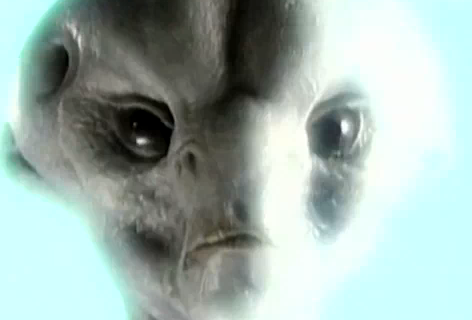 Here are a few of the best Alien Videos that we’ve found around. #1. Video of a UFO hovering over Jerusalem. It was taken by a tourist looking at the Dome of the Rock in Jerusalem. The spot where the Prophet Mohammed ascended into heaven. In the video you see a bright golden orb hovering over the building, then there’s a flash and it shoots straight up into the sky. Think it’s a hoax? There’s a second video witness that also videoed the same thing from a different angle a little farther away. Check it out and decide. Is this UFO Video real or not? A report shown on abc.com showing actual pictures of a hovering alien craft over one of China’s largest airports on July 8, 2010. The sighting was witnessed and confirmed by many and was no hoax. It was not a hoax. The airport was even shut down because of it! At the time, noone knew what in the world it was. Later, official came out and said it was part of a military test.